Drink the beer George Washington drank. 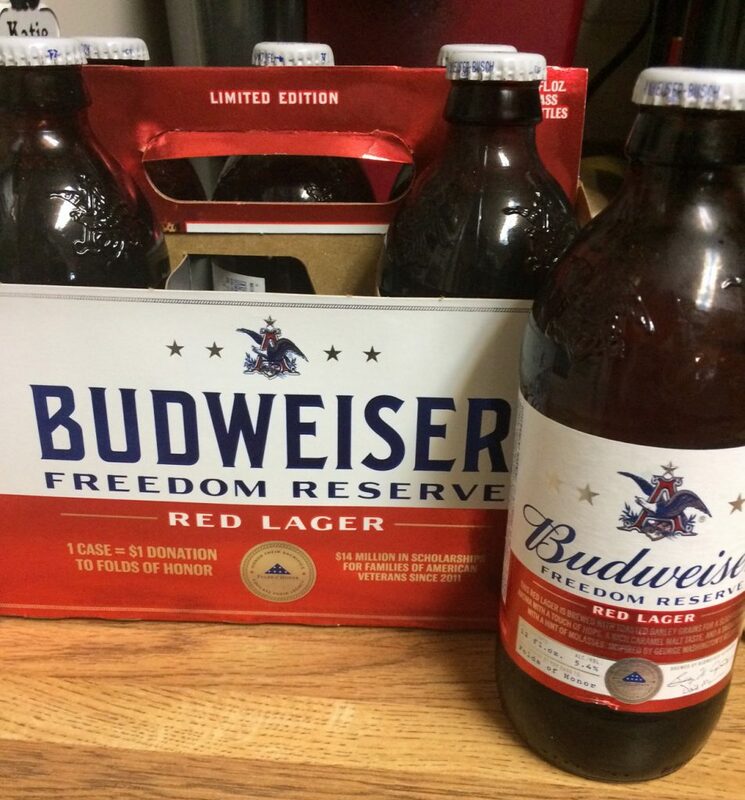 It seems impossible, but Budweiser’s Freedom Reserve Red Lager was inspired by the first president. Now it’s not easy to find, though it’s sold in retail stores. But, the journey is worthwhile. Unlike Washington’s rye whiskey that is still sold at Mount Vernon that is dryer than dust, the red lager is pretty smooth and I swear I can taste the red. Sold in bottles (because that’s how beer should be consumed), it’s brewed with toasted barley grains for a sweet aroma and touch of hops with a hint of molasses. Budweiser has donated more than $14 million from its Freedom Reserve sales to Folds of Honor that provides educational scholarships to military families. So, hoist one to the past and help young people have a better tomorrow. This entry was posted in Washington life and tagged beer, Freedom Reserve Red Lager, George Washington. Bookmark the permalink.